The Kensington Kinetic Sculpture Derby & Arts Fest is Saturday, May 16. If you attended the Kensington Kinetic Sculpture Derby workshops, you are already prepared for a day of handmade, human-powered vehicles traveling through the neighborhood. 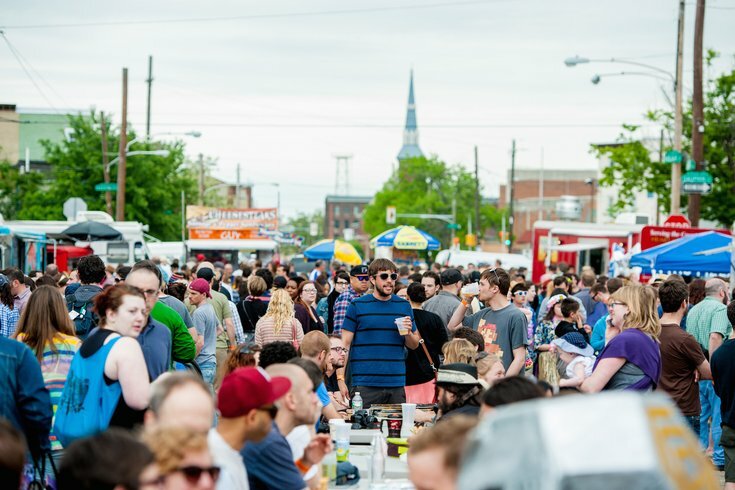 This year, the popular event has officially teamed up with the Trenton Avenue Arts Festival, now known together as the Kensington Kinetic Sculpture Derby and Arts Festival. Whatever it's called, the fair's appearance on Saturday, May 16, is sure to be fun. Spectators can line up down the 3.6-mile course to watch crazy constructions and mobile works of art travel through mud, a "car wash" and over cobblestones. The Arts Festival will host more than 150 vendors - food, crafts, clothing and more - along Trenton Avenue from Dauphin to Norris Street. Live entertainment and children's activities will be available, too. Driving to the event isn't recommended because parking will be limited, but the event suggests trying to park on Trenton Avenue north of York Street if you must drive. Otherwise, take the Market-Frankford El to the Berks Station or the 3, 5 or 25 bus route.